Your purchase of that wonderful sheng pu-erh cake that’s been aging nicely in the cupboard. Time to enjoy a round of infusions, but how do you insure that you get the most from those precious tea leaves? Shorter infusing times are also good, but again if you go to far, just as with water temperature, you might not get a good infusion at all. Some teas already have very short infusing times, so this might not be an option for you. It works especially well with black teas, where the usual infusing time is five minutes and where shortening to three or even two minutes will give you a more flavorful and less bitter or astringent liquid, even allowing for a second infusion with is not typical for black teas. Use a smaller steeping vessel than usual, such as a 100 ml gaiwan or a similarly sized Yixing clay teapot, but stay with the same amount of leaves you use in the larger vessel. Be sure to have the lid on tightly to keep heat in as much as possible. If you don’t have a smaller steeping vessel, use more tea leaves. This will help compensate for cooler water and shorter infusing times. Some people advise not squeezing the tea leaves after an infusing session as a way to avoid bitter dregs. 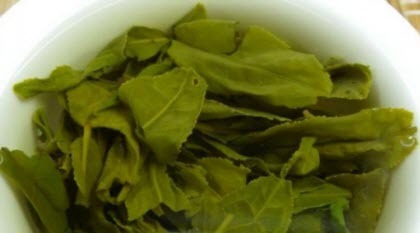 However, the better the tea quality, the more this is a great option for you. Go ahead and squeeze. Just be careful since the leaves will be hot. Again, some experimenting on your part will help here, but hopefully these ideas will point you in the right direction. This entry was posted in Enjoying and Preparing Tea and tagged JAS-eTea, tea steeping. Bookmark the permalink.